COLONIE — The Eagles rolled over The Bison, 17-2, in the season opener for both girls lacrosse squads. 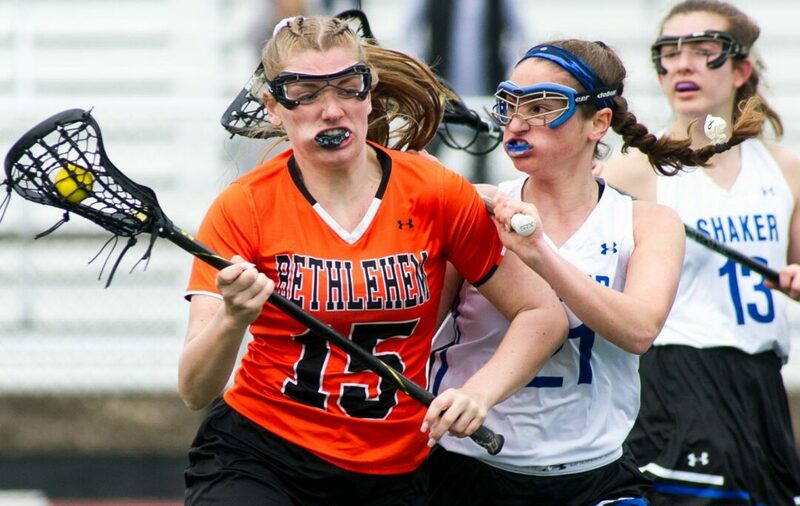 Bethlehem (1-0) was led by Lindsay Ayres with five goals and three assists on the day. Ashlyn McGrath and Piper Gregory each had two goals and an assist, Avery Jones had a goal and two assists while Caroline Wise had two goals. Paige Halliday had a goal and two assists and Avery Daggett had a goal and an assist. Three Eagles had a goal each: Lauren Riker, Amy Burdick and Katie Kirby. On Tuesday, April 2, Bethlehem will host Averill Park and on Thursday, April 4, Shaker will travel to Averill Park.